History: Damai was found in a residential area near Kota Kinabalu, the capital city of Sabah, in November 2012. A businessman discovered a sun bear cub wandering around his car porch when his dog kept on barking. He reported his discovery to the Kota Kinabalu Civil Defence Department where they instantly sent a worker to capture the cub. 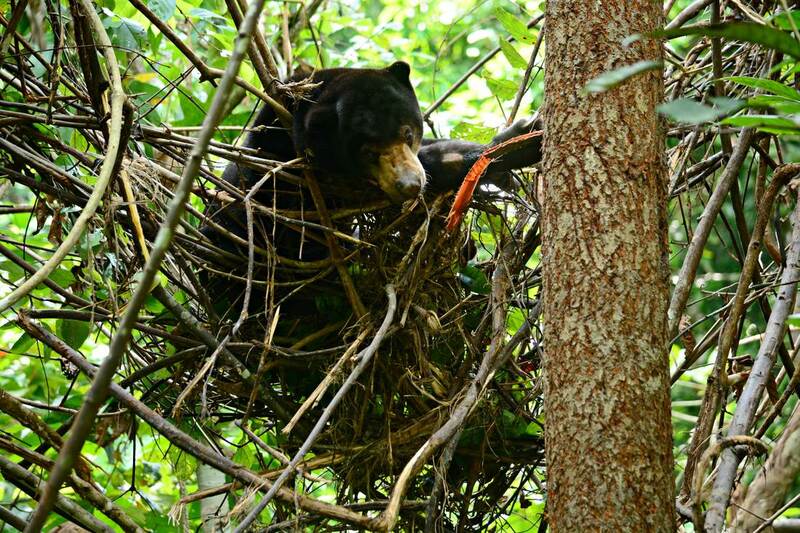 It is suspected that Damai was being kept by someone, as it is unlikely she had wandered in the residential area from the forest. Damai was then sent to the local Lok Kawi Zoo before being sent to BSBCC. Personality: Damai is an intelligent and cute sun bear. She is very strong and aware of her surroundings. 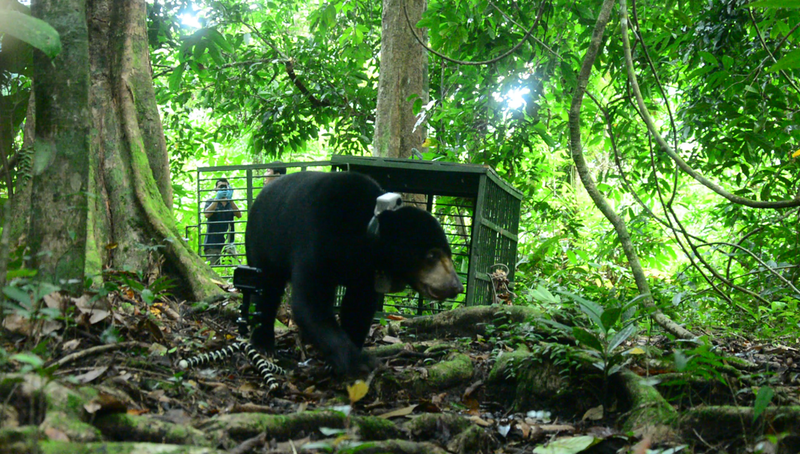 She was introduced to the sub-adult sun bear group in June 2014 and they seem to be getting along well. She is independent, but she likes to spend time with her friends as well, especially Bintang. They are always wrestling, playing, and helping to groom each other. Damai likes to venture off into the forest to explore the trees on her own. She stays high in the trees and will find activities to occupy her time. These include building a nest and taking naps. Damai has developed an amazing degree of independence since she was young. At only one year old, she knew how to build her own sleeping nest. She seems full of enthusiasm. Her progress over the past year has been amazing. During her time at BSBCC she has developed the forest skills she will need to survive by herself in the wild. After being rehabilitated for six years. We are delighted to report that we have successfully released our third release candidates, Damai to the core area of Tabin Wildlife Reserve on the 7th of March, 2018. She return to her forest home where she belongs!! Damai is independent in nature. She knows what she wants and tries to take care of her own needs all by herself.We are wishing the best of luck to Damai as she begin their new lives in the wild. Identifying mark or trait: Damai has a thin, incomplete “U”shaped chest mark.